Sealed for freshness. All natural ingredients. Naturally caffeine free. 4 calories per cup. Sugar free.Back and forth and round and round; you often can't beat a classic game with a friend to lighten your mood and feel like yourself again. What does it taste like? 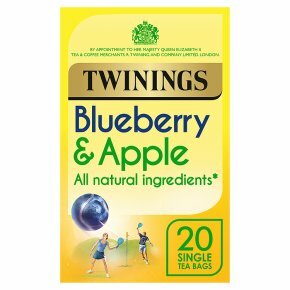 The familiar tang of crunchy apple flavour pairs with the deep notes of blueberry in this brightening infusion.